There is nothing to express, nothing with which to express, nothing from which to express, no power to express, no desire to express, together with the obligation to express. Samuel Beckett – Three Dialogues, 1949. The writer finds himself in the increasingly ludicrous condition of having nothing to write, of having no means with which to write it, and of being constrained by the utter necessity of always writing it. Maurice Blanchot – Faux Pas, 1943. 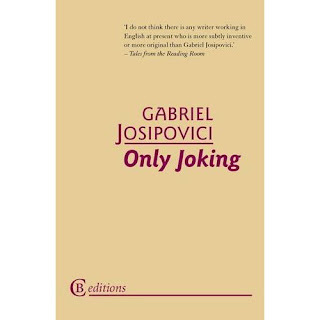 For fans of Gabriel Josipovici's fiction, Christmas comes two month's early this year. In the same week in late October two different publishers issue two different works. 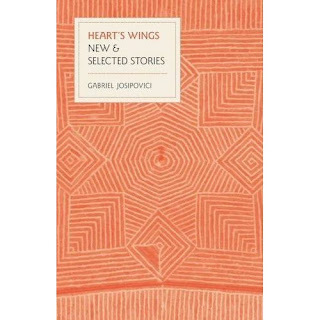 While Carcanet releases the new and selected stories in Heart's Wings with its perfect and appropriate jacket design, CB Editions has the novel Only Joking. This is a novel with a curious publishing history, having been translated into German as Nur Ein Scherz (see the link for a translation of Der Spiegel's review) before appearing in English. Literary bloggers may also like to note that the front page blurb is from Tales from the Reading Room, one of our own. In the same review, Victoria Best makes the important point that "whereas most great literature calls on gravitas to give it authority, the weighty burden of hefty concerns, strenuously raised, Josipovici fuels his narratives with celeritas, the playful swiftness of sleight of hand. It's a daring trick he never fails to pull off." Of course, a month or more before these, Yale UP is also publishing What Ever Happened to Modernism?